Silent auction item will be awarded to the highest bidder for that item. 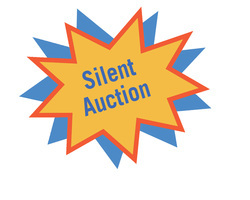 All items must be claimed by 10:30 AM on Wednesday, June 29th or the item will be awarded to the next highest bidder. Packages cannot arrive before Friday, June 24th, 2016.